Tag: health advice and treatment. 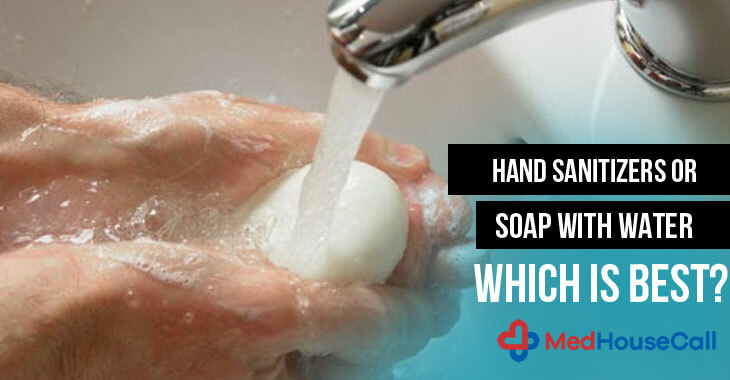 Hand Sanitizers Or Soap with Water – Which is best? Hand sanitizing is really an important habit that protects us from germs. Hands come to the direct contact to the germs when we shake hands and touch something. So, hand sanitization is important to keep it clean. Now there are two groups – one supports the traditional soap and water for hand sanitizing and others opt for hand sanitizers. Now the rigorous advertising proves that hand sanitizers are the best for people’s health. They are handy and you can use anytime you want. But do these ads say right things? MedHouseCall is a very trusted healthcare organization that offers in-home medical service in Ontario, Canada. They raise an important topic of hand sanitization. Bacteria and viruses stay on our hand more than other parts of our body. So, we should not overlook the factor and go for a proper cleaning process. Though hand sanitizers are popular in the market and the profit share of these products is growing, they can be the real substitute for traditional hand washing with soap and water. Hand sanitizers are basically an alcohol-based solution and they are claiming to kill microorganism. Some specialist said that hand sanitizers prove to be very effective when it is accompanied by hand washing. Though alcohol-based hand sanitizers kill certain germs, using soap and water proves to be better for cleaning. Doctors support a proper hand washing always. When these traditional options are not available, you can go for this easy cleaning process. MedHouseCall always talks loud when it comes to hand sanitizing because it is the root cause of many health issues. Remember that alcohol-based hand sanitizers do effective in killing a certain type of germs, but they are not active for all types of bacteria and germs. When you buy this product, make sure that your hand sanitizers contain nearly 60% alcohol. Know how to use hand sanitizers perfectly. Apply the product on your palm of one hand. Keep rubbing this product all surfaces of your hands and fingers till it dry. So these are the basic methods that you can definitely try. But, never overlook traditional hand washing which is done with soap and water. To get the better result, doctors at MedHouseaCall mention some important factors. Rinse your hands on the running water. MedHouseCall has joined the drive to bring the healthcare industry to the doorstep of common people. In-home healthcare service is designed for the comfort of people. Home visit physicians come to the patients’ place and conduct the required treatment. If you live in Ontario, you can contact MedHouseCall for any health advice and treatment.